There are lot’s of selling sites and online garage sales on the market – but up until now I’ve been reticent to use any of them. It felt risky, and I didn’t see any safe guards in place. That’s why I was immediately impressed with the way the 5miles App works! 5miles makes listing and shopping for local goods easy, and has some cool safety features built in. My favorite is that if a dispute arises 5miles can access the conversational thread between buyer and seller. Pretty cool. I accepted the challenge! And selected St. Judes Children’s Hospital. 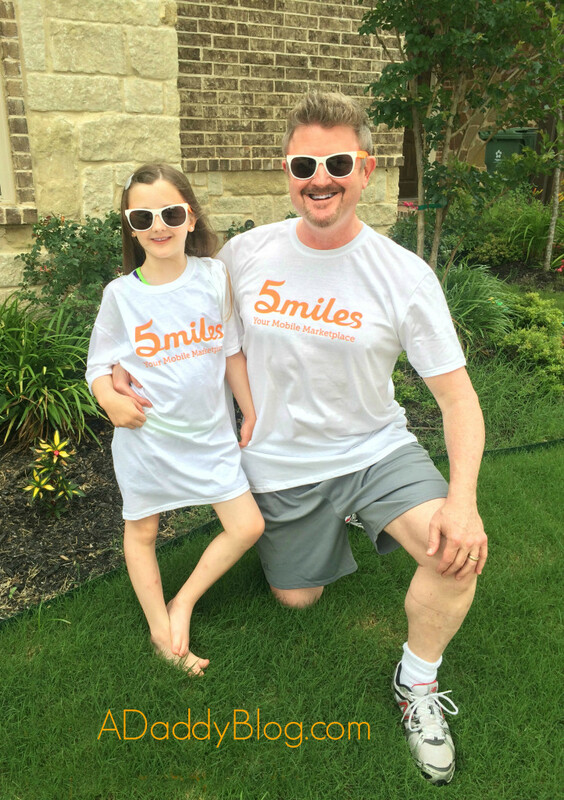 Thanks to 5miles for donating to this awesome charity, doing great work! So how does 5miles work? Step #1: Have fun looking at all the goods for sale on 5miles. When you find something – you can favorite it, buy it, or even follow the seller for more items. Step #2: I found some neat patio upgrades, including a bench I liked, and the seller had listed price negotiable. 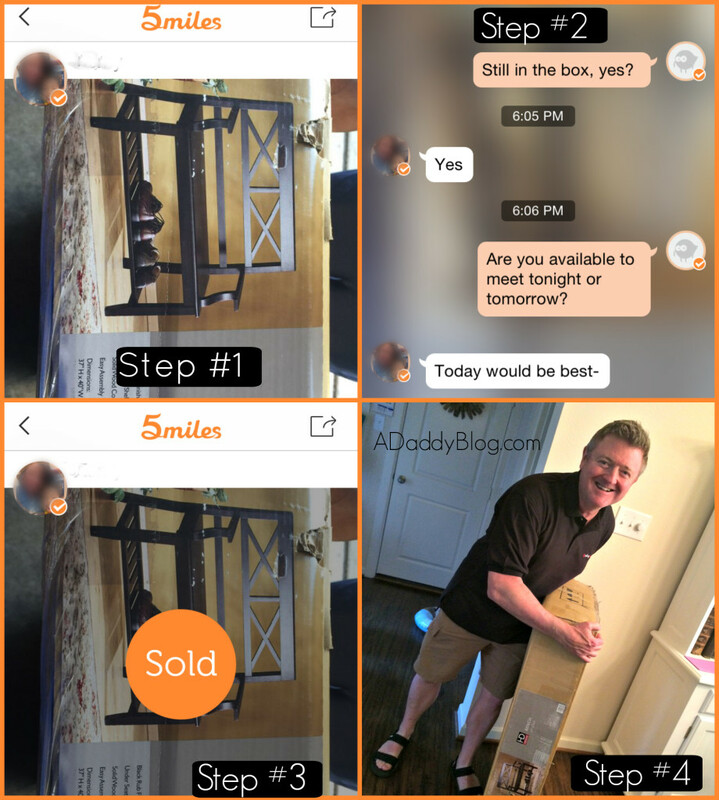 I messages with the seller via the 5miles app and we agreed on a price. Step #3: The seller sold me the patio upgrades, we met up, and I payed for and picked up the items. 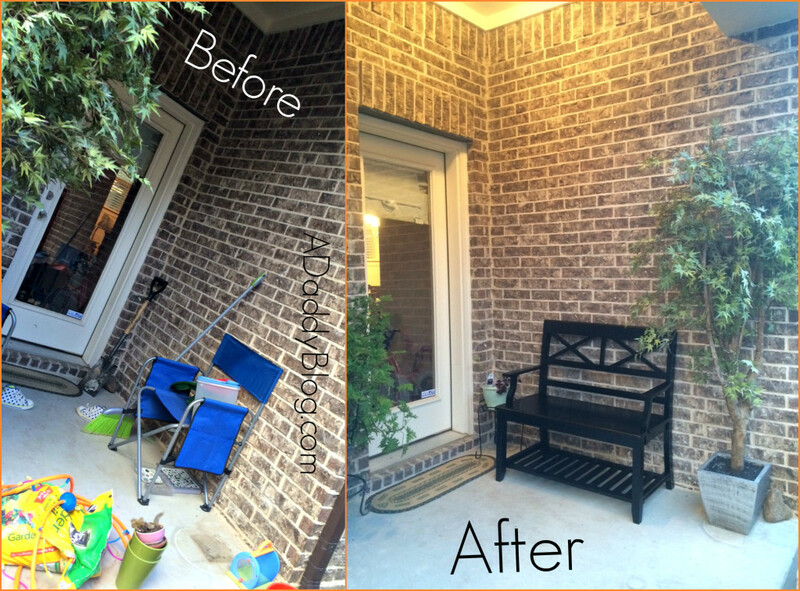 Step #4: I re-designed our outdoor patio space using the items I bought on 5miles! Easy! Home Space Re-do Results: A much Nicer outdoor space with new flower pots, stands, and bench! Along with feedback ratings, 5miles users verify their identity by phone or via Facebook, so buyers and sellers can feel confident they are dealing with a real person. In addition to being verified by phone or via Facebook, most users have profile pictures, so you know who you are dealing with. 5miles has an internal messaging system, so contact information is kept confidential. This ensures no unwanted messages. Further, should a dispute arise, 5miles is able to retrieve all communications via the platform. 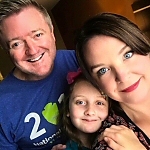 Unlike most marketplaces, 5miles has an “Awesome Experience Team” which works hard around the clock to review every item posted on 5miles, making sure they meet high standards so you can buy without worry. 5miles encourages buyers and sellers to meet at public places to ensure safety, such as parking lots at supermarkets and gas stations. I found so many awesome electronics deals. 5miles has great deals sellers have listed for for cell phones, computers, tech gadgets – you name it! I even found tools! Ultimately – I chose a Disney Infinity gaming system for 80% off retail – that included extra characters! We previously had one, and when it broke our daughter was super sad. 5miles saved the day, and for way less than it would have cost to replace our system at a retail store! Bottom Line: Using the 5miles App is easy, fun and likely to nab you some crazy god deals! I’m grateful that they challenged me to see what their site is all about – I’m hooked. The 5miles app will always be on my phone now, and before I buy retail – I’ll be checking 5miles out first! We are officially a 5miles loving family now! Have you used 5miles – I’d love to hear what you thought! Thanks to 5miles for facilitating this review and for donating to St. Judes hospital in thanks! All opinions are my own. This motivates me to do a makeover at my house, thanks for the ideas! Oooh! The electronics makeover looks stunning! We have so many of those Disney Infinity characters cluttering everything up (and Skylanders, etc.) May have to do some of these! Thanks Linsey! 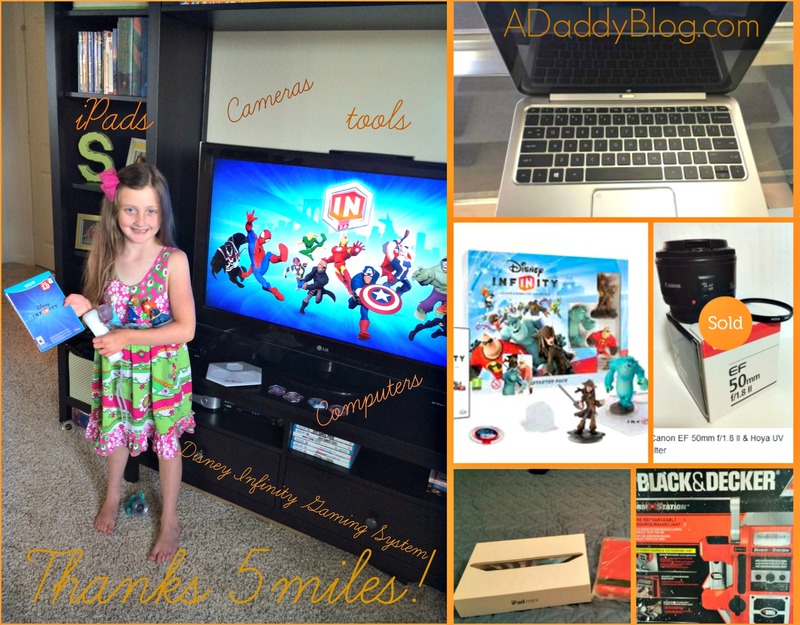 I couldn’t believe how much cheaper the Disney Infinity system was on 5miles! I just can’t believe what a difference your makeover made! I want to come hang out on your porch now! I’ve never heard of 5Miles, but your house looks great! I’ll have to check them out! I recommend them – great stuff for great prices! What a neat little app! I love how the bench totally transformed the outdoor area. It looks so much nicer! I have never heard of that app.. Although it looks as one I would probably use quite a bit. We do love selling online. 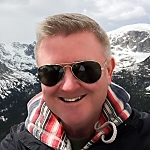 Avry – if you like selling online, I would def recommend checking it out! It has some great safety features other selling sites don’t! Hey Alicia – thanks for the comment! I hadn’t heard of 5miles before this either – but now I’m hooked! I have never heard of this before but I am selling SO much right now before we move so I’ll definitely have to look into this. Thank you for sharing! Hey Ashley – then YES def check it out. It makes both buying and selling much easier than other sites I’ve seen. And I like the safety features of 5miles better too! I have never heard of this app before! Must go and take a peek and see what it is all about! Your porch looks so pretty now! Thanks! Its def worth checking out, finding local deals is much cheaper than retail! I’ve never heard of 5 miles before now. I love the bench you got; it looks great! I will have to check out 5 miles when I have some extra money to spend on things. Hey Kim! I hadn’t heard of 5miles before this either – but its really a cool app and it makes buying cheaper…and easier! What a great makeover! I had never heard of 5Miles but it seems to be a great app that can save you a ton on just about anything! There are so many projects I would love to do around the house but cost has made those a challenge up until now. Yes, 5miles absolutely saves you money on just about anything. I used it for electronics and home goods – but it really has a category for just about anything! Hi Michael, thanks for liking 5miles. I am chief of marketing at 5miles and we are located in Mockingbird Station near SMU. I’d personally thank you for your contribution! Feel free to email me if you have any questions for us! Thanks, James. Shopping with 5miles also appealed to my wife quite a lot. She watched the process and commented on how much more secure it seemed than others she’d used in the past. Unrelated, I earned my MBA from SMU. Must drop by when I’m next in your neck of the proverbial woods. Wishing you all the best! You are super welcome, Melinda. Don’t you love discovering great tools like this? Anyway to make shopping locally more efficient and secure works for me! Have a great week.